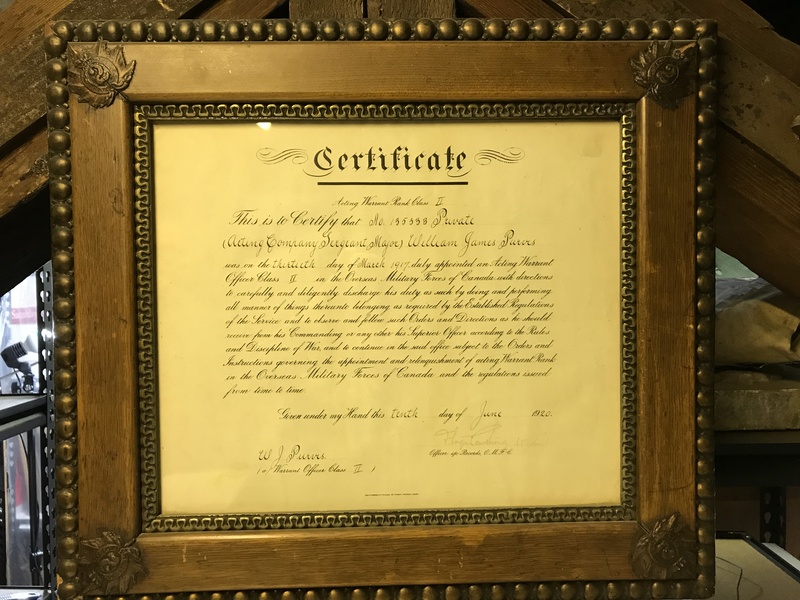 135333 Battalion Sergeant Major William James Purvis was a veteran of World War I and a Sergeant Major in the QOR 1925-30. He joined the Queen’s Own in 1903 and attended the trip to England in 1910 as the Colour Sergeant of D Company. 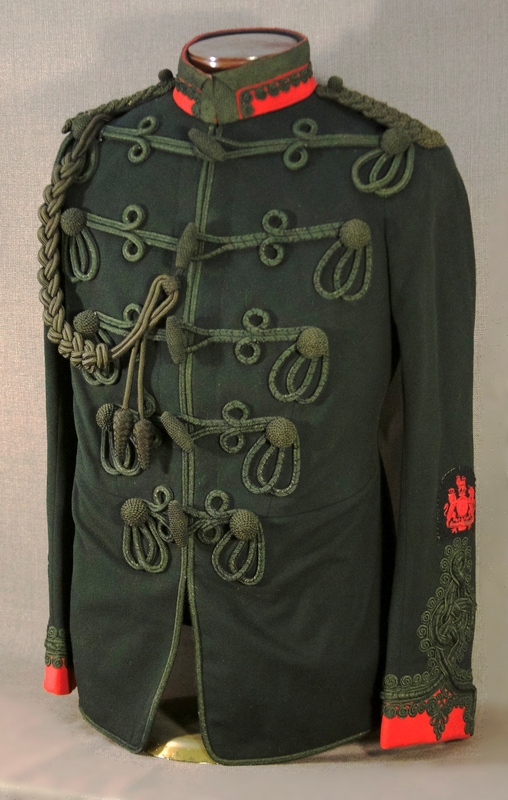 At the time of his enrollment into the 74th Battalion CEF in July of 1915 he had already served 12 years in the Queen’s Own, was married to his wife Jessie and listed clerk as his occupation. He landed in England in April 1916 and shortly afterwards was confirmed in his appointment as Company Sergeant Major which normally carried the rank of Warrant Officer II. The 74th Bn was disbanded in September 1917 most of the soldiers providing reinforcements to the Canadian Corps in the field. Purvis was retained in England initially, carrying-out administrative and instructional duties in various camps. In August 1918 he was posted to France to the Canadian Corps School then to Belgium. In May 1919 he returned to Canada where he was demobilized from active service. 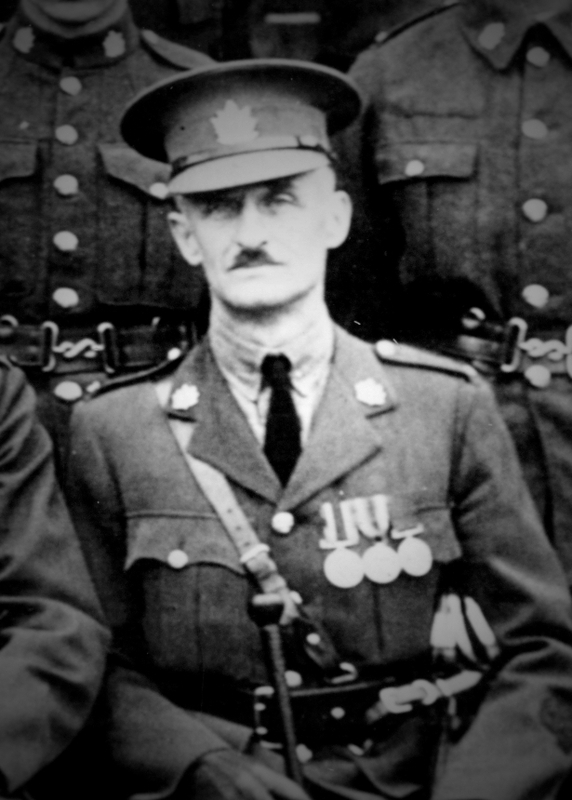 He returned to the QOR where he attained the rank of Battalion Sergeant Major of the 2nd Battalion in 1925. He died in 1964 at the Camp Hill veteran’s hospital in Halifax Nova Scotia. 1930, appears in a photo of the WO’s and Sgts as WOI. His WWI records can be found here. Photo of the Staff Sergeants and Sergeants attending the 1910 trip to visit the Buffs. 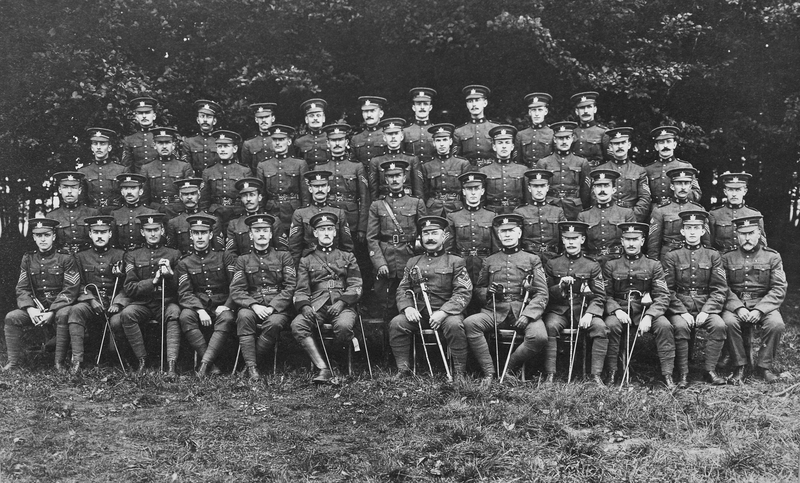 Purvis is second row fifth from the left beside RSM Brittain.